This document covers the installation and use of this theme and is intended to get your site up and running quickly. If you have any questions that are beyond the scope of this help file, please feel free to visit our support page. We hope you enjoy our theme! After the theme is activated, a notice will appear to install the recommended plugin, Jetpack. Install and activate that plugin by selecting 'Begin installing plugins'. Be sure that you both "Install" and "Activate" the plugins in order to make them functional. The quickest way to setup your theme to mirror the demo is to import demo content. The demo content is entirely optional though. 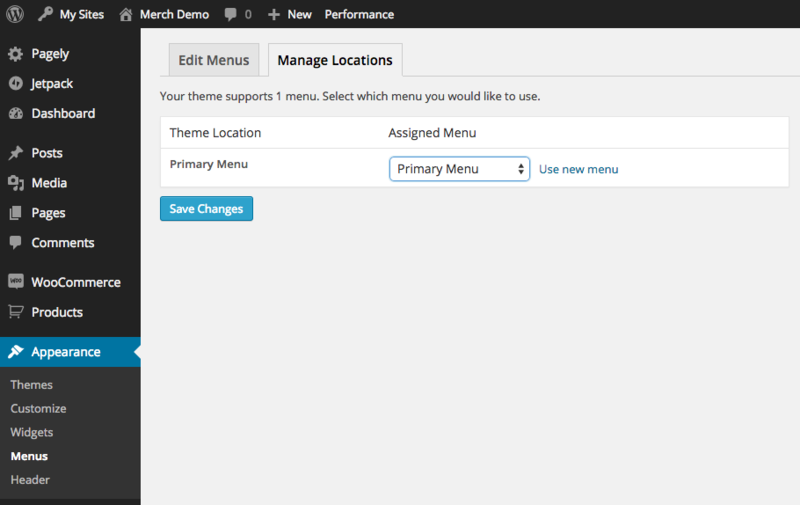 Demo content will be available on the Rescue Themes site. 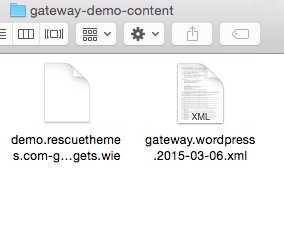 There are two demo content files: an .xml file for posts and pages and a .wie file for widgets. 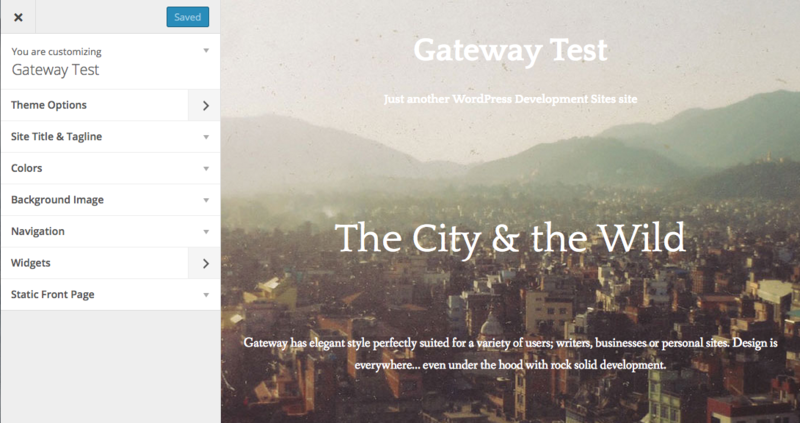 Navigate to Tools > Import and select WordPress. 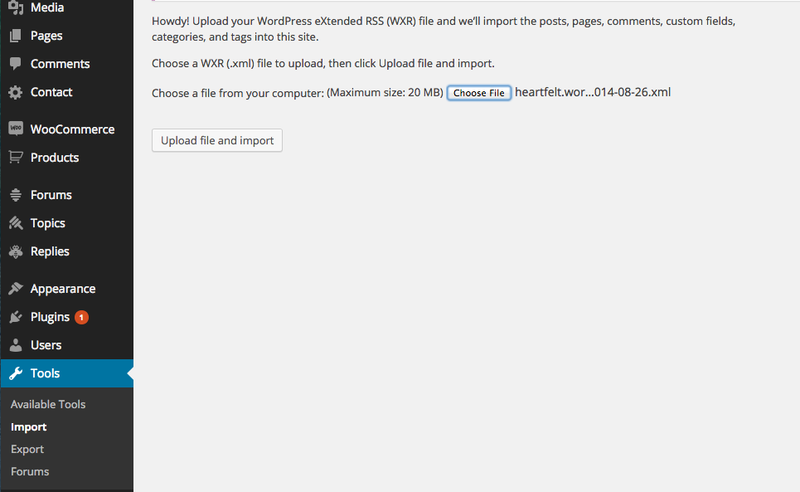 Install the WordPress Importer plugin. Activate and run the importer. 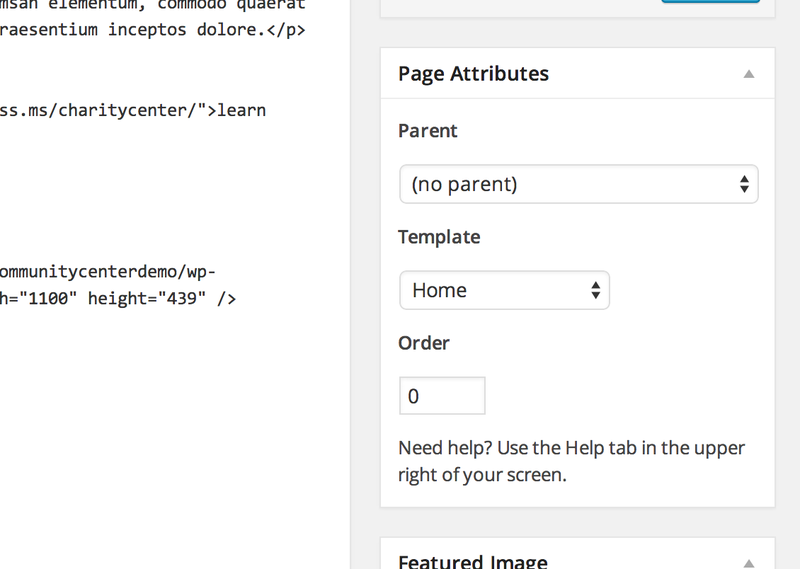 Next upload the demo content XML file with the WordPress importer. Check the 'Download and import file attachments' option after clicking 'Upload file and import'. This will import demo images. Choose the .wie file and import. 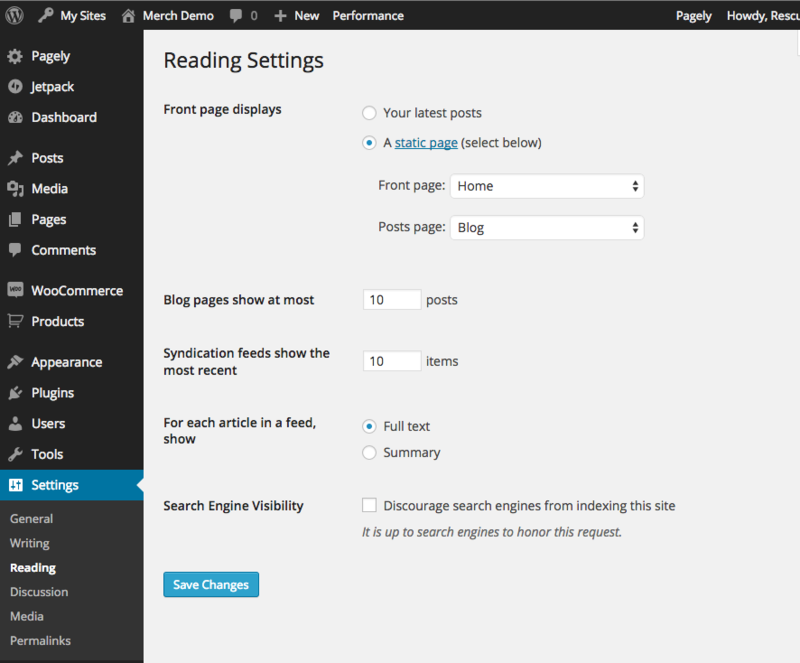 From the Reading Settings of your WordPress site, assign the Home page as the 'Front page' and the Blog page as the 'Posts page'. Not Importing the Demo XML File? If you aren't importing the demo data included with the theme, then at a minimum you'll want to create a "Home" and "Blog" page. Create a page called "Home" and assign the Home Template to it. This theme includes multiple widetized areas. Widgets can be added to these areas by navigating to "Appearance > Widgets"
Features shown on the demo will activate once theses Jetpack features are on. Control which pages your widgets appear on with Jetpack's Widget Visibility feature. To control visibility, expand the widget and click the Visibility button next to the Save button, and then, choose a set of visibility options. For example, if you wanted the Top Products widget to only appear on the home page, choose "Show" from the first dropdown and then add the rule: "Page is Home". You can also hide widgets based on the current page. For example, if you don't want the Recent Posts widget to appear on shop pages, choose "Hide" and add each shop page. More information about Jetpack on their website. Jump on back to the intro section of this document if you need to get in touch (there will be some handy links for you up there).